Mary Lou Wetzel, 61 of Taylorville passed away on Friday, January 29, 2016 at 1:40 a.m. at Decatur Memorial Hospital in Decatur, IL. She was born January 6, 1955 in Taylorville, IL the Daughter of George and Marjorie Ann (Smith) Wallace. She married Robert Wetzel on September 8, 1973 in Taylorville, IL and he later preceded her in death on February 14, 2015. She worked as a homemaker and was a member of the Way of Life Church in Taylorville. Surviving are her Daughters: Michelle Wetzel of Taylorville, IL; Marleen (Glen) McIntyre of Mena, AR; Grandchildren: Kanah McIntyre of Sioux City, IA; Robert McIntyre of Mena, AR. ; Levi McIntyre of Mena, AR; Silas McIntyre of Mena, AR and Cameron Wetzel of Taylorville, IL; Brother: Martin Wallace of Taylorville, IL; Sisters: Anna Marie (Don) Wyant of Taylorville, IL; Margie (Jay) Meads of Taylorville, IL; Several Nieces and Nephews. She was preceded in death by her Parents, Husband, and her Brother George Wallace. Visitation will be held Sunday, January 31, 2016 from 4:00-7:00 p.m. at The Way of Life Church in Taylorville. Funeral services will be held at 10:00 a.m. on Monday, February 1, 2016 at Sutton Memorial Home in Taylorville with Pastor Stan Pratt Officiating. Burial will be in Oak Hill Cemetery in Taylorville, IL. 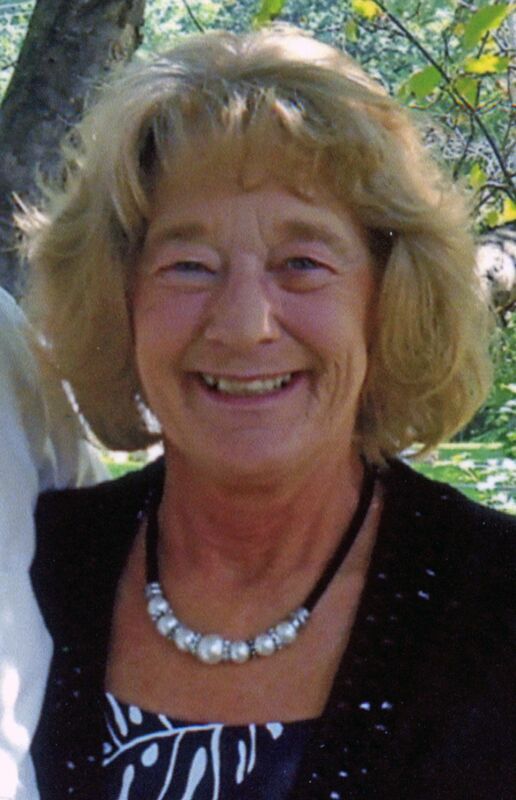 Denise Marie Ward, 57 of Taylorville passed away on Tuesday, January 26, 2016 at 11:34 a.m. at her residence in Taylorville. She was born September 4, 1958 the Daughter of Ronald W. and Joan (Edwards) Durbin. She married Dan Ward on April 22, 1992 in Taylorville, IL. She worked as a Registered Nurse at St. Vincent Hospital in Taylorville and she was a member of the First Church of the Nazarene also in Taylorville. Surviving are her Husband: Dan; Sisters: Rhonda (Les) Grieme of Taylorville, IL; Brothers: David P. (Mary) Durbin of Taylorville, IL; Kevin (Sheryl) Durbin of Carthage, IN; Several Nieces, Nephews, Aunts, Uncles and Cousins. Preceded by: her Parents and Brothers Colin R. Durbin, Richard L. Durbin and Greg Durbin, Sister Colleen Ward. Visitation will be held Saturday, January 30, 2016 from 3:00-6:00 p.m. at Sutton Memorial Home in Taylorville, IL. Funeral services will be held at 2:00 p.m. on Sunday, January 31, 2016 at Sutton Memorial Home in Taylorville with Pastor Robert Turner Officiating. Burial will be in Anderson Cemetery in Rural Palmer, IL. Surviving are her Mother: Sylvia Nelson of Taylorville, IL; Sisters: Sherri (Matt) Fry of Taylorville, IL; Grandparents: Walter (Gisela) Stevens of Clarksville, TN; Niece: Abby Fry; Nephew: Tyler Fry and Her beloved Dog Jude. She was preceded in death by her Father: Michael L. Nelson. Visitation will be held Friday, January 29, 2016 from 4:00-7:00 p.m. at Sutton Memorial Home in Taylorville, IL. Funeral services will be held at 11:00 a.m. at Sutton Memorial Home in Taylorville with Pastor Bill Kerns Officiating. Burial will be in Oak Hill Cemetery in Taylorville, IL. Michelle (Michael) Lail Klinghammer Nelson, 23 of Bloomington passed away on Monday, January 25, 2016 at 9:00 p.m. at OSF St. Joseph Medical Center in Bloomington, IL. She was born November 28, 1992 the Daughter of Mike and Sylvia (Stevens) Nelson. She was a graduate of Taylorville High school in the class of 2011. She loved the outdoors such as camping, fishing, boating, and hunting. She loved spending time with her niece Abby and her nephew Tyler. Over the years she was also known for her artistic ability and received many awards. Michelle also was a server at Red Lobster and Baxters in Bloomington, IL. Ronald W. Rusher, 75, of Taylorville, died at 6:50 p.m., Sunday, January 24, 2016, at Taylorville Memorial Hospital. Ronald was born on August 5, 1940, in Taylorville, the son of William and Lena (Boils) Rusher. He married Barbara Ann Bianco on April 23, 1966, and she preceded him in death on September 25, 2014. Ronald worked at Firestone for most of his life. He was a member of the UAW. Surviving are his daughters: Renee Rusher of Taylorville; Michelle (Chris) Craddock of Columbus, OH; Robbyn Rusher of Taylorville; granddaughters: Sarah Anderson of Columbus, OH; Theresa (Anthony) Williamson Dales of Obetz, OH; and one great granddaughter: Alaina Williamson Dales of Obetz, OH. Along with his wife, he was preceded in death by his parents, two brothers, Robert and Larry Rusher, and one sister, Connie Rusher. A graveside memorial service will be held at 10:00 a.m., Friday, January 29, 2016, at Glen Haven Memorial Gardens. McClure Funeral Home is in charge of arrangements. Memories of Ronald or condolences to the family may be sent online at www.mcclurefuneralhome.com. Eula B. Schroyer, 84, of Taylorville, died at 7:36 p.m., Tuesday, January 19, 2016, at Memorial Medical Center in Springfield. Eula was born on September 29, 1931 in Greenwood Township, the daughter of Ralph and Edna (King) Buckles. She married Herbert W. Schroyer on October 15, 1949, and he preceded her in death on August 31, 2006. Eula worked as a nurse for St. Vincent Memorial Hospital. She enjoyed music, and even played the piano at the hospital and for nursing homes. Eula was very family oriented, and loved her family dearly. Surviving are her children: Linda Schroyer, of Taylorville; Michael Schroyer (Becky), of Taylorville; James H. Schroyer (Jennifer), of Springfield; Pam Kavafis, of Taylorville; Mindy Linn, of St. Charles, MO; seven grandchildren: Shannon Vitullo, of Chicago; Amanda Schroyer, of Springfield; Christopher Schroyer, of Decatur; Curtis Schroyer, of Arnold, MO; Matthew Schroyer, of Oklahoma City, OK; Aspasia Kavafis and Yanni Kavafis, of Taylorville; six great grandchildren: Alyssa LaPorte; Niko LaPorte; Michael Isaiah Schroyer; Aliann Schroyer; Rueben James Schroyer; Grayson Schroyer; and one great-great grandchild: GiaBella LaPorte. Along with her husband, Eula was preceded in death by her parents, and seven brothers and sisters. Funeral mass will be held at 10:00 a.m., Saturday, January 23, 2016, at St. Mary’s Catholic Church, Taylorville. Father Mariadas Chatla will officiate. Burial will take place in Oak Hill Cemetery. Visitation will be held from 5 – 7 p.m., Friday, January 22, at McClure Funeral Home with a prayer service at 5:30. Memorial donations may be made in her honor to: Taylorville Ministerial Emergency Food Pantry. McClure Funeral Home and Cremation Services is in charge of arrangements. Memories of Eula or condolences to the family may be sent online at www.mcclurefuneralhome.com. Nicholas Ray Reber, 17 of Taylorville passed away on Tuesday, January 19, 2016 at 9:18 p.m. at St. John’s Hospital in Springfield, IL. He was born April 24, 1998 the Son of Jarod Reber and Deanna Durbin. He worked as a cashier and bus boy at Angelos Pizza in Taylorville and he was also a lifeguard at the Taylorville Park Pool and the Taylorville YMCA Pool. Nicholas was a senior at Taylorville High School, he loved his family, friends and helping others. Surviving are his Parents: Jarod Reber, Deanna (Michael) Durbin, Breanne Larson; Sister: Alexandrea Moss; Brothers: Tyler Aydt, Braden Reber, Michael Moss; Grandparents: Ann Hall, Roger (Bonnie) Moss, Greg Reber, Pam (Randy) Ballinger, Penny Larson; Great-Grandparents: Bill (Janet) Jones, Jim (Audrey) Manley, Linda Larson; Several Aunts, Uncles and Cousins. He was preceded In death by his Great Grandparents: Dorothy and Elmer Moss, Grandfathers: Brian Larson, Carl Wright, Aunt: Joy Moss. Visitation will be held Sunday, January 24, 2016 from 2:00-6:00 p.m. at Sutton Memorial Home in Taylorville, IL. Funeral services will be held at 10:00 a.m. on Monday, January 25, 2016 at Sutton Memorial Home in Taylorville with Rev. Mike Evanchak Officiating. Burial will be in Edinburg Cemetery in Edinburg, IL. Bobby R. Smith, 85, of Mt. Auburn, passed away Saturday, January 9, 2016 at 1:44 a.m. at Taylorville Memorial Hospital in Taylorville. He was born May 13, 1930 in Cypress, IL, the Son of Samuel Robert and Mary Rose (Isom) Smith. He married Alice R. Copenbarger on August 13, 1949 in the Mt. Auburn Church of Christ in Mt. Auburn and she preceded him in death on July 11, 2011. He was a member of the Berea Christian Church in Mt. Auburn. Bobby worked for DeKalb Ag Research for 47 years. He attended Berea Christian Church in Mt. Auburn and was a Deacon, Berea Boosters officer, and involved with many other church activities. Bobby was a member of the Twist and Twirl Square Dance Club in Taylorville. He was active as a volunteer fireman, a member of the village board and picnic association of Mt. Auburn. Bobby enjoyed camping, boating, fishing, traveling, gardening, square dancing, auctions, garage sales, family celebrations, and lending a hand when needed. Bobby had a wonderful sense of humor, many friends, and never met a stranger. He is survived by his Daughters: Peggy (Dave) Lipe of Springfield and Pam Patrick of Taylorville; Son: Herb (Companion Teresa) Smith of Mt. Auburn; Grandchildren: Heather Lipe, Jennifer Lipe, Caleb Smith, Nick Smith, and Danielle (Joe) Dobyns; Great-Grandchildren: Joseph Booth, Isaiah Booth, Deneah Day, Derick Day, Elliott Dobyns and Joey Lynn Dobyns; Brothers: James (Ellen) Smith of Fillmore; Glen Eddleman (Companion Joy) of Decatur; Brother-in-Laws: Dale (Erma) Copenbarger; Marvin (Shirley) Copenbarger of Mt. Auburn; Clem Diesen of Effingham; Several Nieces, Nephews and Cousins. He was preceded in death by his Parents, infant Son Bobby Leverne, Four Brothers, and Five Sisters. Funeral services will be held Thursday, January 14, 2016 at 11:00 a.m. at Berea Christian Church in Mt. Auburn, IL with Rev. Dean Hill and Rev. Ron Ferricks officiating. Burial will be in Berea Cemetery in Mt. Auburn, IL. Visitation will be held Wednesday, January 13, 2016 from 4:00-7:00 p.m. at Sutton Memorial Home in Taylorville. Raymond L. Oller, 77 of Taylorville passed away on Monday, January 4, 2016 at 1:43 p.m. at Memorial Medical Center in Springfield, IL. He was born March 10, 1938 in Irving, IL, the Son of Rolland and Anita (Taylor) Oller. He married Connie Buckles on September 12, 1959 in Morrisonville, IL. He was a retired truck driver, minister and he also worked at Firestone in Decatur, IL. Raymond graduated from Baptist Bible College in Springfield, MO. Surviving are his Wife: Connie; Daughter: Jonita (Clayt) Lemon of Butler, IL; Granddaughter: Samantha (Jared) Smith of Auburn, IL; Sister: Marcella (Wayne) Jackson of Coffeen, IL; Sister-in-Law: Elsie Oller of Witt, IL; Judy (David) Hill of Taylorville, IL; Mother-in-Law: Juanita Buckles of Taylorville, IL; Several Nieces, Nephews and Cousins. He was preceded in death by his Parents, Brother: Jim Oller and Father-in-Law Raymond Buckles. Visitation will be held Thursday, January 7, 2016 from 10:00-11:00 a.m. at Sutton Memorial Home in Taylorville, IL. Funeral services will be held at 11:00 a.m. at Sutton Memorial Home in Taylorville with Pastor Gerald McPhillips Officiating. Burial will be in Oak Hill Cemetery in Taylorville, IL. Brandon Mann, 18 of Taylorville passed away on Sunday, January 3, 2016 at 9:18 a.m. in South Fork Township in Rural Christian County, IL. He was born November 12, 1997 the Son of Alan and Angel (Morgan) Mann. He loved sports and was on the Taylorville High school Wrestling Team. Surviving are his Parents: Alan and Angel Mann of Taylorville, IL; Grandparents: Mike (Linda) Hart of Taylorville, IL; Alan Mann Sr. of Taylorville, IL; Barbara Wicker of Cookeville, TN; Doris Ray of Cookeville, TN; Sisters: Courtney Mann of Taylorville, IL; Christina Strode of Cookeville, TN; Companion: Sarah Schulte of Kincaid, IL; Aunts and Uncles: Barbara Hamilton of Cookeville, TN; Annette (Steve) Hill of Springfield, IL; Shannon (Bobby) Hancock of Cookeville, TN; Jason Newberry of Taylorville, IL; Tim (Shelly) Mann of Taylorville, IL; Jamie Lefever of Cookeville, TN and several Great Aunts and Uncles. He was also survived by a Niece: Lashea Strode and Nephew: Ryker Strode both of Cookeville, TN. He was preceded in death by his Grandparents and several Aunts and Uncles. Visitation will be held Thursday, January 7, 2016 from 4:00-8:00 p.m. at Sutton Memorial Home in Taylorville, IL. Funeral services will be held on Friday, January 8, 2016 at 10:00 a.m. at the Kincaid Church of God in Kincaid, IL with Pastor Jacob Skelton Officiating. Burial will be in Oak Hill Cemetery in Taylorville, IL. Devan R. Everett, 18, of Taylorville passed away at 8:56 A.M. Friday, January 1, 2016, in South Fork Township in Rural Christian County, Illinois. He was born August 20, 1997 in Springfield, the son of Charlotte (Everett) DeLaCruz. Devan was a senior at Taylorville High School. Surviving are his mother and stepfather, Charlotte and Luis DeLaCruz of Taylorville; one sister, Kiley Everett of Taylorville; one brother, Drake Everett of Taylorville; his grandparents: Paula Everett of Taylorville, Larry Wingfield of Salem, Missouri, and Vicente Sr. and Rosa DeLaCruz of Vienna; his cousins: Cory, Alexis, Anastasia, Nick, Jordan, Brendan, Haley, Everett, Megan, Sean, Erin, and Lucas; his aunts and uncles: Cindy (husband, Vicente Jr.) DeLaCruz, Becky (husband, Phillip) Albert, Cheryl (husband, Ron) Bond, Vince (wife, Sophie) Everett, Julie (husband, Tim) Thuline, and Casey Wingfield. He was preceded in death by his grandparents, Delmar Everett and Patti Wingfield. Visitation will be held on Tuesday, January 5, 2016 from 9:00-12:00 Noon at Sutton Memorial Home in Taylorville. Funeral services will be held at noon at Sutton Memorial Home in Taylorville, with Pastor Steve Switzer officiating. Burial will be in Oak Hill Cemetery in Taylorville. Juanita M. Badman, 91 of Taylorville passed away at 11:07 AM on Thursday, December 31, 2015 at Taylorville Care Center. She was born on September 15, 1924 at Fayette County, IL. Juanita married Kenneth E. Badman on September 26, 1950 at Harrison, AR; he preceded her in death on May 13, 2012. She was also preceded in death by her parents; Sister, Geneva Randel; Brother, Glen Randel. Survivors include: Nieces, Janet (husband, Cayle) Davis of Palmer, IL, Connie (husband, Tony) Cook of Pana, IL and Vickie (husband, Tom) Grundy of Morrisonville, IL; Nephews, Ray (wife, Dayle) Badman of Taylorville, IL and Jim (wife, Sue) Badman and Billy (wife, Nita) Badman both of Palmer, IL; Many great nieces and great nephews. Cremation rites will be accorded. Juanita and Kenneth will be interred together at Springhill Cemetery in rural St. Elmo at a later date.